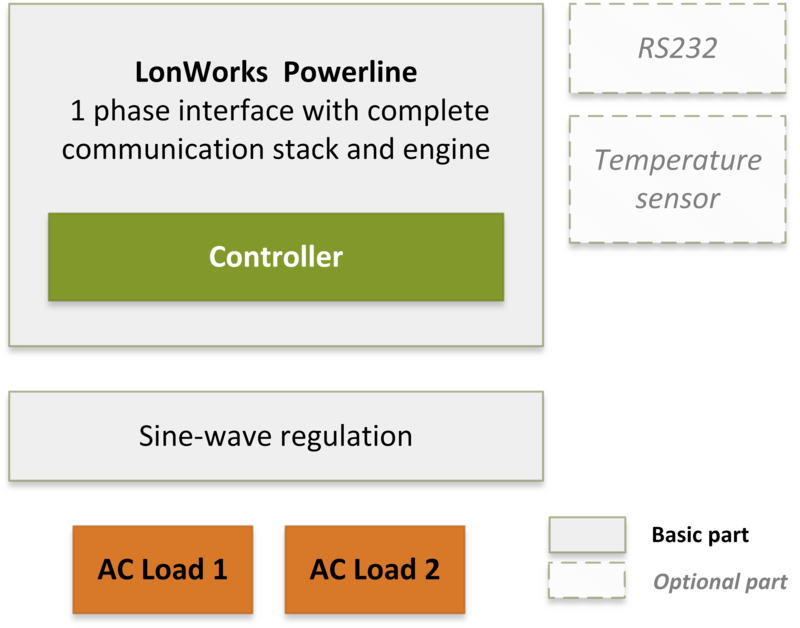 LonWorks PowerLine module for a sinusoidal regulation & control | T-Industry, s.r.o. 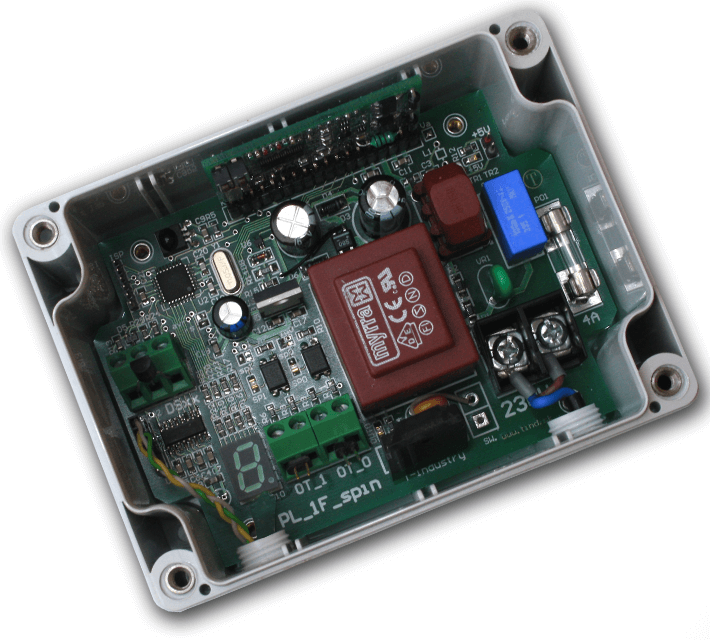 Sophisticated module in industry enclosure (IP 65 for outdoor environment). 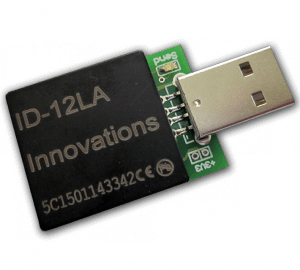 Its core contains the PL3120 Echelon processor (Echelon Powerline smart transceiver). 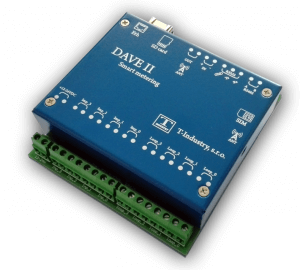 It has EEPROM memory for 4KB of application code. 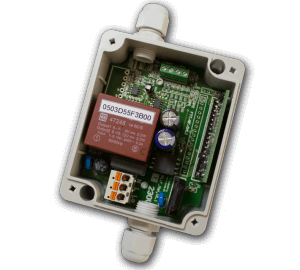 Module is especially designed for sine-wave regulation of 2 loads (water heating etc.). 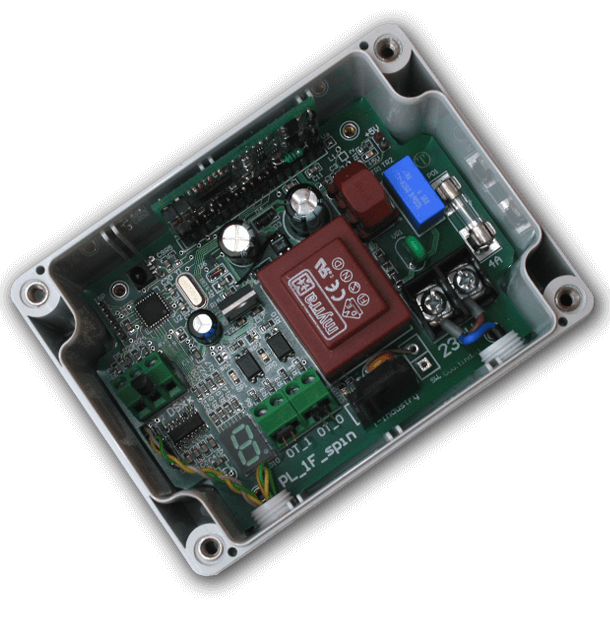 Optotriac 20A/40A is used as the end switching element. 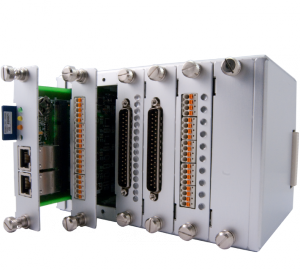 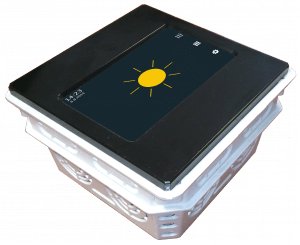 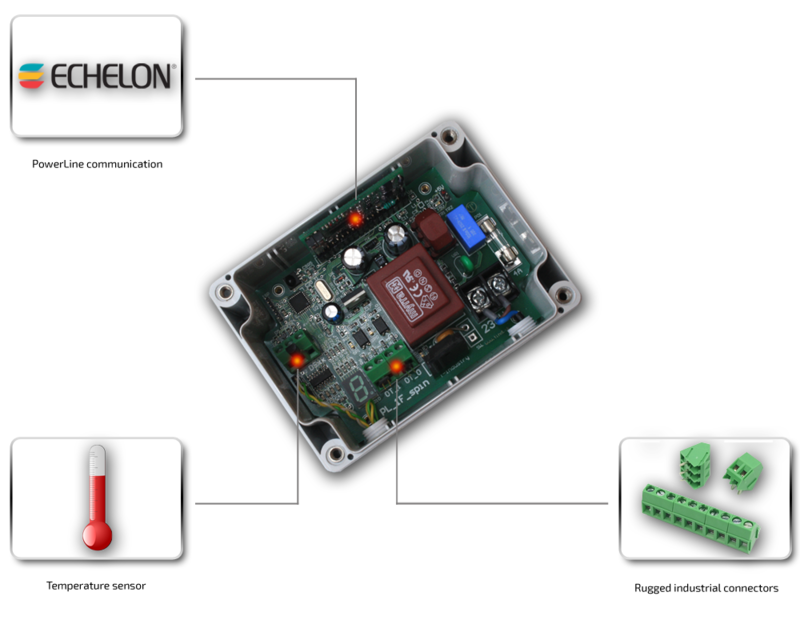 In the enhanced variant, the module has RS232 communication interface and the temperature sensor (-30 up to 80°C).